With a massive nationwide support group of friends, families, active and veteran service members, the realization of America's most sophisticated submarine system is almost here. Also -- here already visiting her namesake state -- are a few of the actual crew members slated to serve in her for the maiden tour of duty. 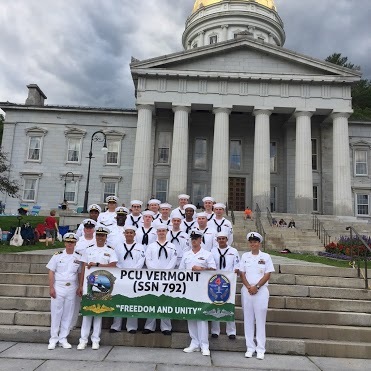 Visit www.ussvermont.org not only to be WOWED, but also to get more info on the efforts of many, many more people getting everything ready for its commissioning, and its possible 30-50 year "silent-service" to America.